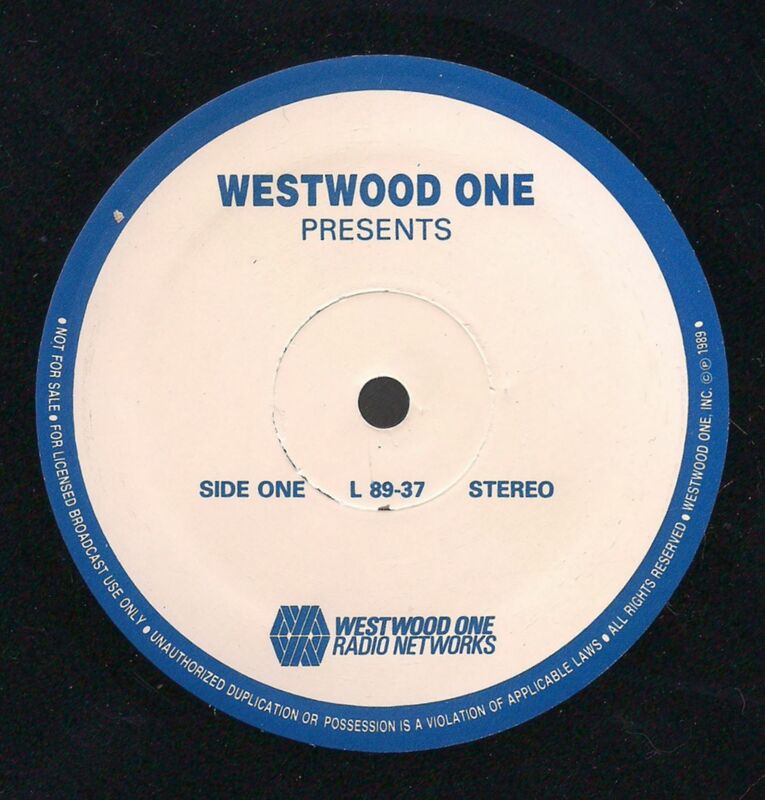 The announcer, Jim Duncan, says this was recorded at the Bottom Line, New York City, NY. The 1989 broadcast date of this syndicated radio show is not the date the show was recorded. The setlist also matches the Live From Gilley's setlist for L 88-22 broadcast on May 23, 1988, so the show was definitely not recorded in 1989. 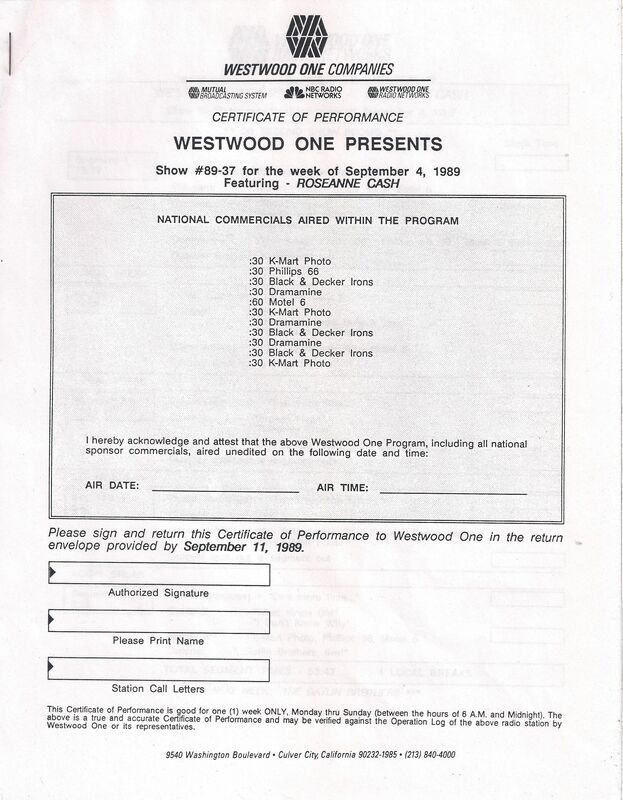 (Note that the Live From Gilley's shows were not always recorded at Gilley's). The archive of Bottom Line shows at http://www.bottomlinecabaret.net/tline_index.html does not list a Rosanne Cash show for 1988 or 1989. 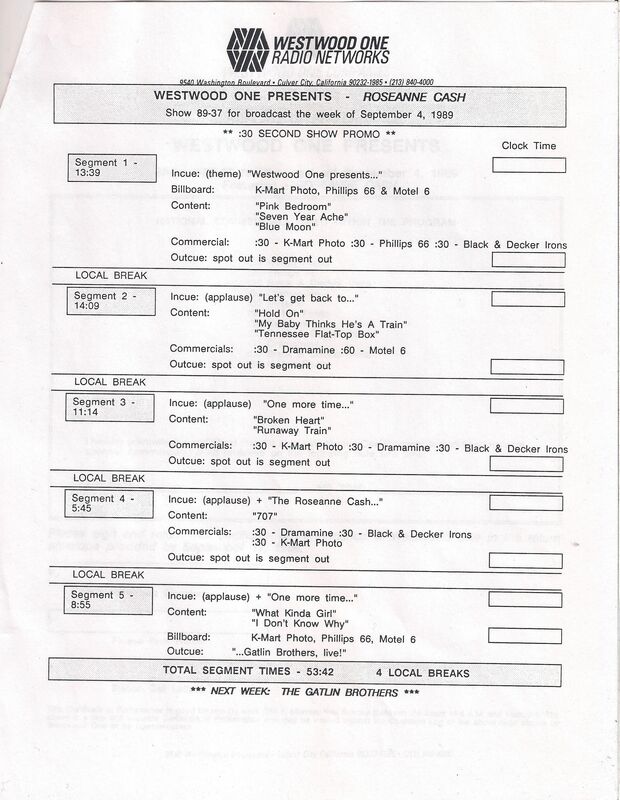 It does list a show from November 24, 1987, so that is likely the source date of this show. There was a bootleg CD named "Rosanne Cash � At The Bottom Line" on the Royal Sound Music label (RSM 006) which also says this was from 1988, but I say they're wrong. Digitized directly from the syndicated radio disc Dec. 2018. A 300 dpi scan of the cue sheet, the affidavit, and a disc label are included. Many thanks to draftervoi for all his efforts and providing this show through his Voodoo Wagon blog. Uploaded to DIME by propylaen in April 2019.